Our mission as St. Mary’s PTO is to promote and encourage communication among parents, teachers, administration and community. We strive to provide opportunities for all families to become involved. 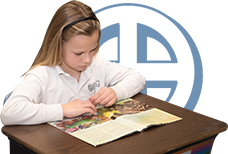 Our goal is to keep families informed and encourage them to be a vital part of their children’s education. The PTO also sponsors and organizes many school events, which enrich our students’ experience and bring our school community together. You can email the PTO using the Contact Form Below. We are still looking for someone to take over the Treasurer position for Evangelina at the end of the school year. If you would like to be involved please contact us anytime! The PTO meetings are held the second Tuesday of every month at 6:30pm. We invite everyone to join us and look forward to hearing your suggestions, input and feedback. New and improved Literacy Room. This is stocked to the brim with teacher requests – whole classes are now able to read together! The teachers and students have been using it regularly! Painted the hardtop with new games and the USA map – in COLOR! In past years we have been able to build a new and fully stocked Science Closet, brought in the New England Aquarium’s Penguin Program, a Kamishaibai Performance, “Be Awesome” engineering and technology behind adaptive sports, and much more! This year we have many more projects and presentations in store We will also have more keynote speakers and improvements to the school. We are very excited to share that our Uniform Swap Shop is now open year round! This is an opportunity to make a cash donation for gently used uniforms that are donated by families and/or donate some yourself! You can email the PTO using the Contact Form Below. Please check back if your class isn’t currently listed. This list will be updated as the most current list becomes available for each grade. Thank you for your patience. This Parent Toolkit was created by NWEA as a resource and guide for parents. It includes Frequently Asked Questions, The Lexile Framework for Reading, Tips for Parents, Web Sites for Kids and Parents, and Commonly Used Terms. 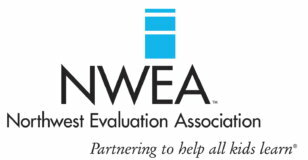 NWEA hopes you find this toolkit helpful and invites you to have conversations with your school district personnel about NWEA’s assessment tools. 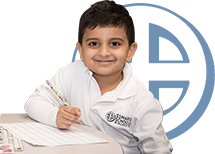 Parents from every grade at St. Mary’s School took an extensive survey in the fall of 2016 on all aspects of St. Mary’s School. Here are a few questions and the percentage of parents that were highly satisfied with their experience at St. Mary’s School!